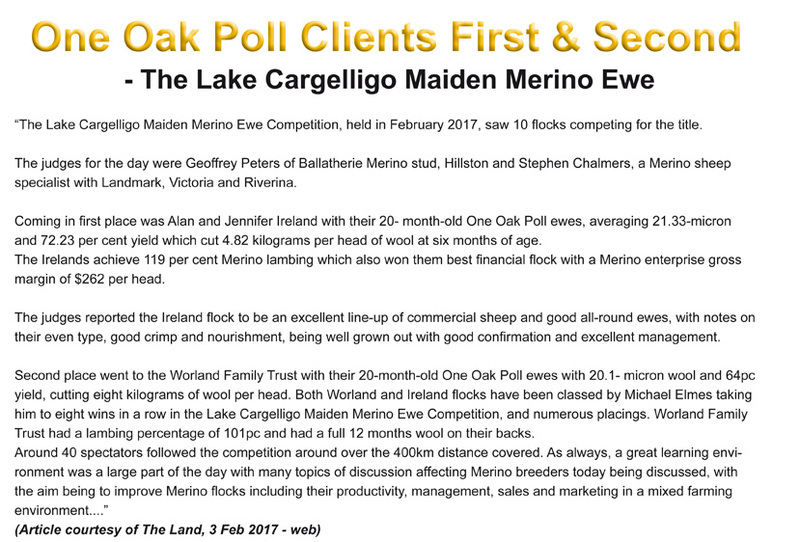 One Oak Poll clients have a long standing tradition of doing well in the Lake Cargelligo Ewe competiton, and this year was no exception, with Justin and Natalie McCarten coming first, and the Ireland family, coming second. “NARRANDERA sheep classer, Michael Elmes, classed up his ninth flock win and all three placegetting flocks in the Lake Cargelligo Merino Ewe Competition. 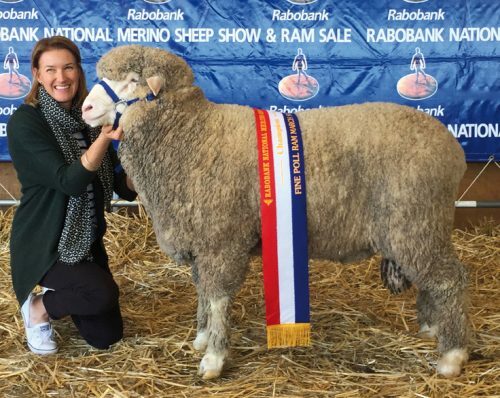 Conducted by the Lake Cargelligo Show Society, the day’s tour took in eight commercial flocks attracting 50 spectators with much discussion placed on their views of Merino flock profitability. Much of the talk was led by the two judges, Peter L’Estrange, Belswick stud, Condobolin, and Matthew Coddington, Roseville Park stud, Dubbo. Winner was the “Glen Echo” flock of Justin and Nat McCarten, Erigolia near Rankins Springs, who displayed their maiden line of 21-month-old ewes of One Oak Poll blood growing 19.8 micron wool and average cut of 5.9 kilograms yielding 64.1 per cent at 10 months of age. The flock’s maidens drop had a weaning rate of 115pc and was classed by Michael Elmes of Smart Stock, Narrandera. 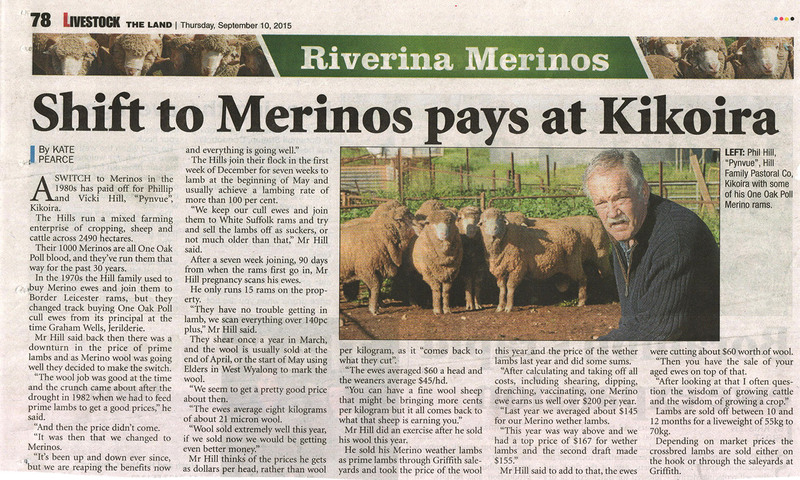 “Glen Echo” runs 1300 breeding ewes with the maiden cull at 33pc and they had six months of wool growth. 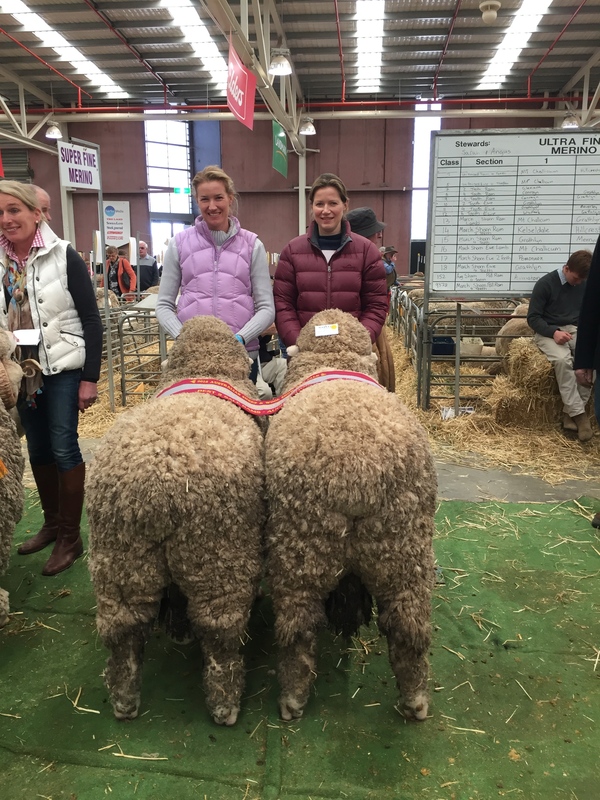 Returning judge, Peter L’Estrange commented on the massive improvement in the ewes, liking their body size, length and depth. “They have great hindquarters and long muzzles with deep jaws and good wool cutting ability for their micron with better dust resistance for the environment,” he said. 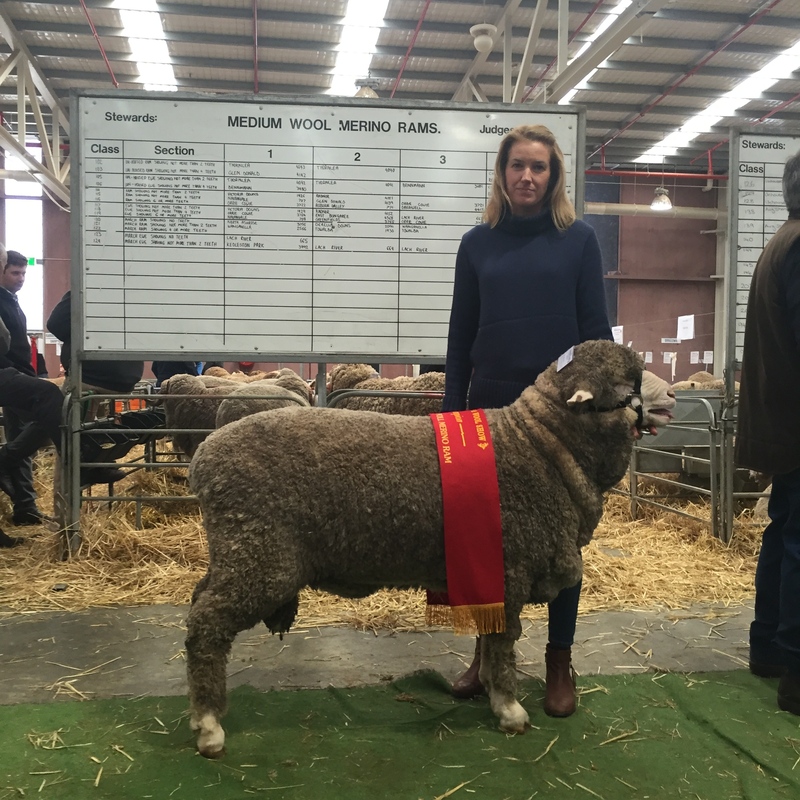 Matthew Coddington said the McCartens had done a wonderful job of managing the maiden ewes which gained weights up to 90kg. “It’s fantastic to see sheep managed so well and fed to achieve their full genetic potential,” he said. 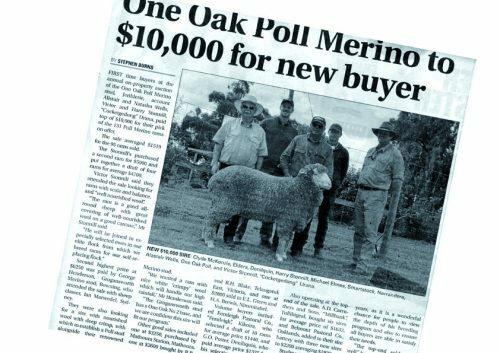 A Merino enterprise gross margin was run across all flocks by the committee with the McCartens’ flock returning the third highest gross margin of $268.20 a head and was also awarded the People’s Choice accolade. 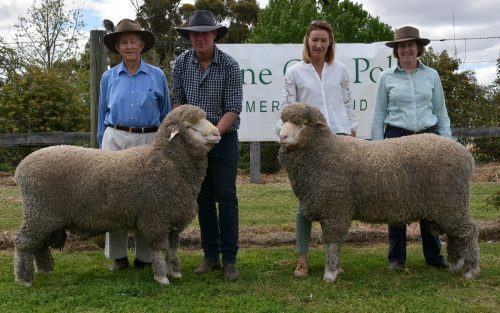 Judging’s second prize went to the Ireland family, “Alandale” Tullibigeal, conducted by Alan and Jennifer Ireland with daughters, Tara-Jane Ireland and Meagan and Brad McKenzie. 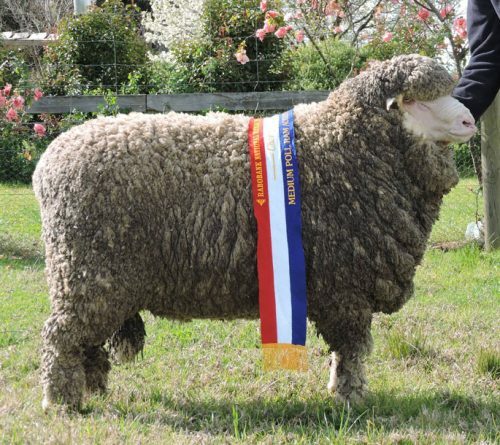 It was only days later that the Merino fraternity heard the sad news of the death of Mrs Ireland and offered their deepest sympathy to the family. 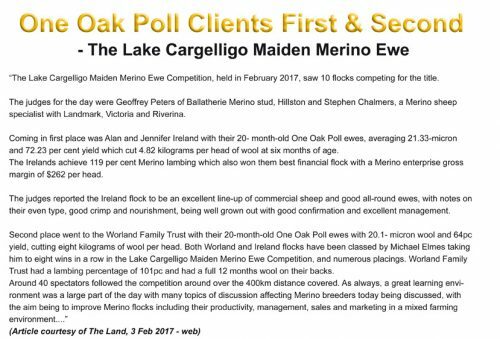 One Oak blood also featured within this flock which won the competition last year. 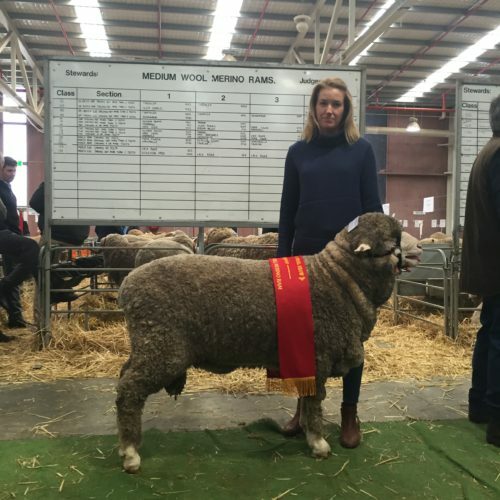 Ewes displayed came from a 27pc classing by Michael Elmes and were 20-months-old growing 21.3 micron wool and cutting 4.9kg yielding 66.45pc at six months while the flock average at 12 months is 10.2kg. 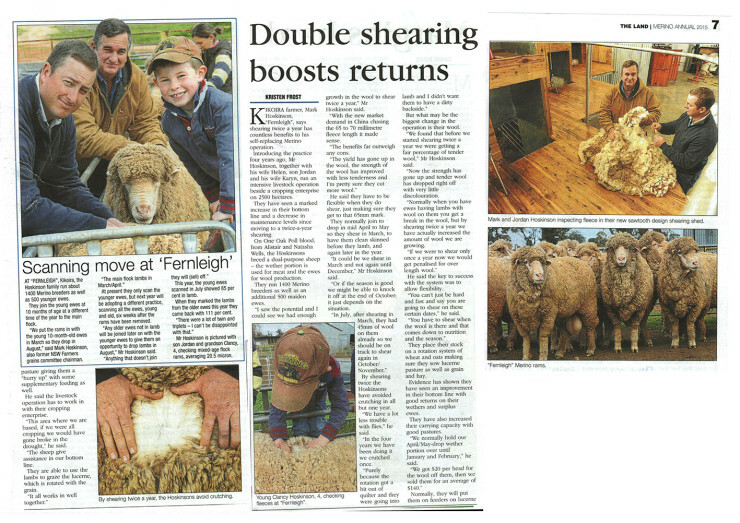 Mr L’Estrange said the ewes had good open heads with long, deep bodies. “They also have good neck development showing good wool cutting ability without too complicated or extreme for their type,” he said.